The holiday season is here, which means it’s time to open up your wallet and buy some awesome presents for your friends and loved ones. We at PlayStation LifeStyle know that it can be difficult to shop for a gamer, which is why we’re here to take out all of the guesswork. We’ve prepared a guide filled with the best games of 2017, that any gamer would be happy to have. We’ve got categories for various genres, so there should be something for every type of gamer below. Also featured are expansions to some of last year’s best games, and some gaming accessories to help take your game sessions to the next level. We’ve also included links to PlayStation LifeStyle’s review of each title listed, that way you can do some further research if a game tickles your fancy. Check out our 2017 Holiday gift guide so you can be informed while finishing up your holiday shopping! Thanks for checking out PlayStation LifeStyle’s 2017 holiday gift guide. Leave a comment below if you still need help finding the right present, and our community will help out. 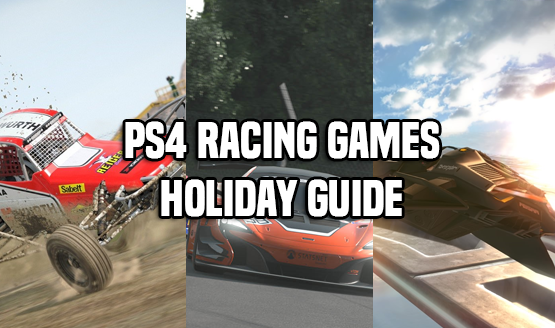 If you’re still having any difficulty figuring out what to purchase after reading our Holiday PS4 Buyers Guide, feel free to discuss potential purchases in the comments below!